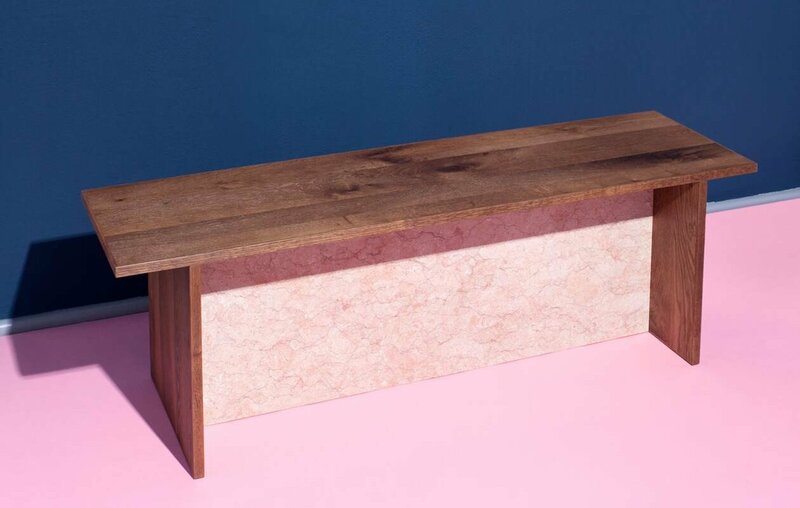 A bench made from recycled oak and marble. JOHANENLIES ESC combines linear geometry with subtle material compositions. The smooth, recycled oak surface of the bench top has clear, defined edges. 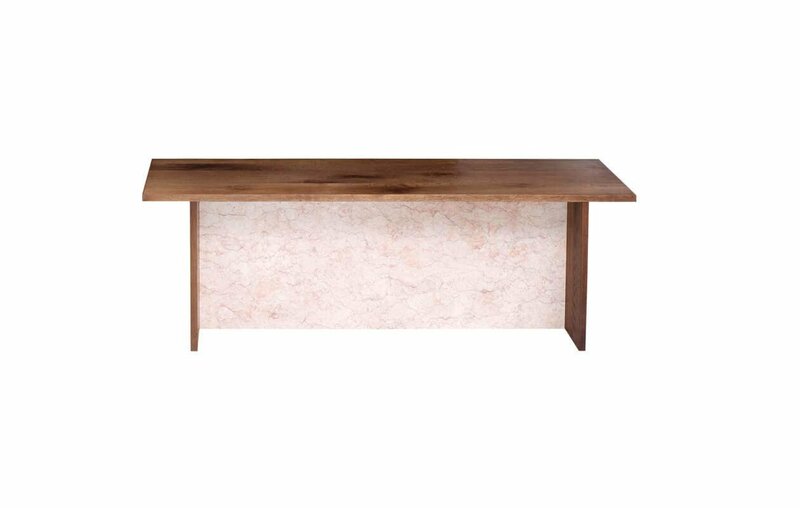 The bench top is poised on a sturdy base made from rose-coloured marble that’s framed by lateral oak elements. 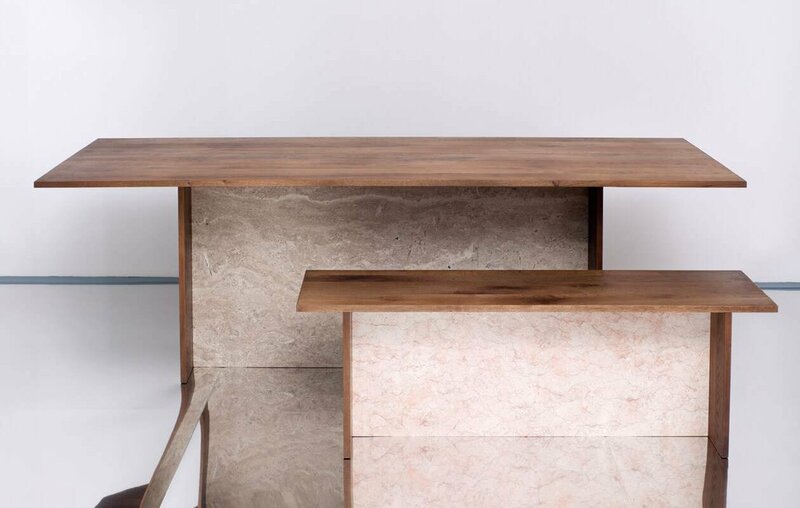 The ADITYAS bench is perfect in the dining or living area as an outstanding design element, or when combined with the ADITI table as a unique dining set. Conceptual design. Subtle material composition. The product is individually customisable: special requests can be made regarding dimensions and finishes. The delivery time is 6-8 weeks for deliveries to Germany. The duration may vary for deliveries to other countries. Please enter your email address, address and project number for further information.